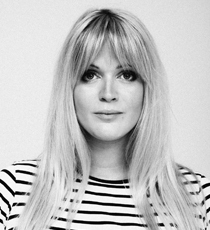 Dolly Alderton is an award-winning journalist, a writer and a director, as well as the co-host of the chart-topping pop culture and current affairs podcast The High Low alongside Pandora Sykes. She is widely known for the success of her hilarious and insightful Sunday Times best-seller publication Everything I know About Love, which became a top five Sunday Times best-seller within its first week of publishing (published by Fig Tree/Penguin). She was The Sunday Times Style dating columnist between 2015 and 2017 and in 2018 was made a regular features columnist. Dolly has also written for some of the most popular broadsheets and magazines in the UK including the Telegraph, GQ, The Evening Standard and Cosmopolitan. Dolly has also worked on critically-acclaimed television series – she began as a story producer on Channel 4’s BAFTA-winning Made in Chelsea and T4’s Summer Daze, Dolly then worked as a script assistant on E4’s final series of Fresh Meat. In 2015 Dolly co-wrote and directed her first short film, which went on to be accepted at the London Short Film Festival. She is currently adapting Everything I Know About Love for TV, which has been optioned by Working Title.